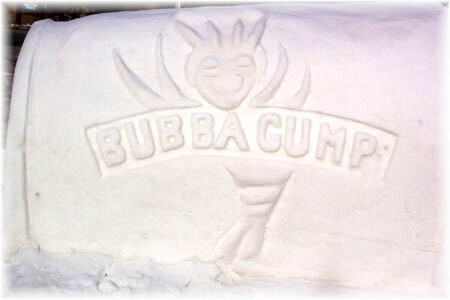 "Coach Mikey goes crazy with the 3 footer"
"Who does Budda call for customer support?" 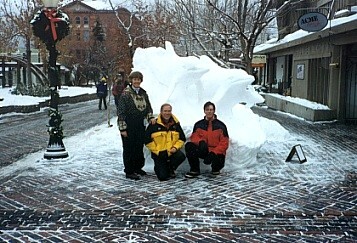 Artists Greg Wellens Mike Lindsay and Jeff Teaford. 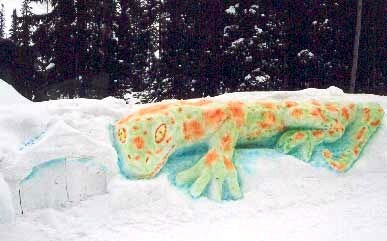 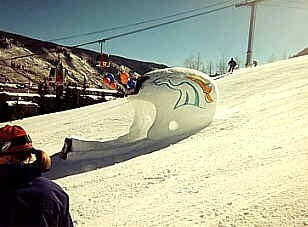 "Emerging from the frigid waters"
The Bronco Helmet was commissioned by the Aspen Skiing Company for Super Bowl 33. 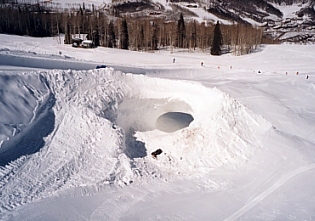 Video footage of skiers skiing through the helmet and jumping off the face mask was recorded and sent out on satellite The footage was picked up by 32 different markets and shown on Super Bowl Sunday. 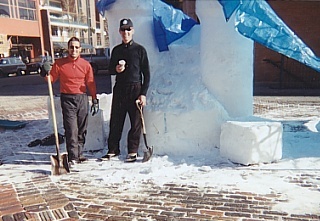 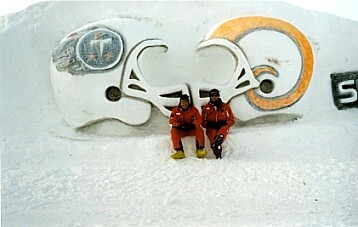 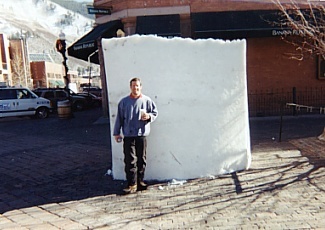 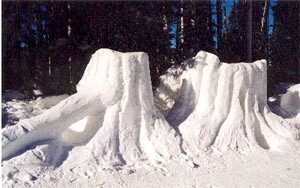 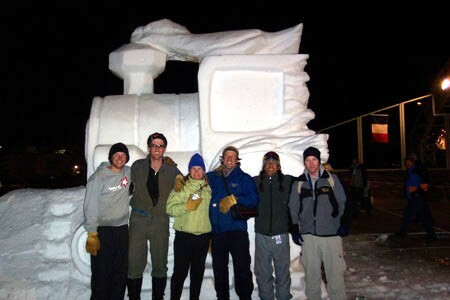 Artists Greg and Mike Lindsay sit in front of the Super Bowl jump built for the Swatch Boarder Cross. 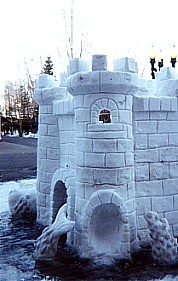 Almost complete, Detail is added to the Castle including the Mote below with sea creatures. 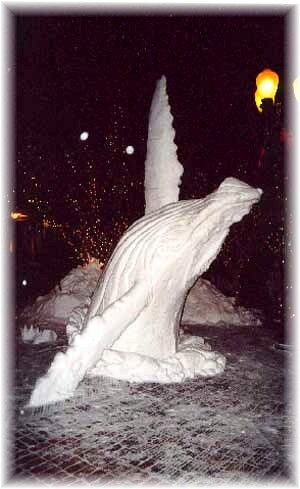 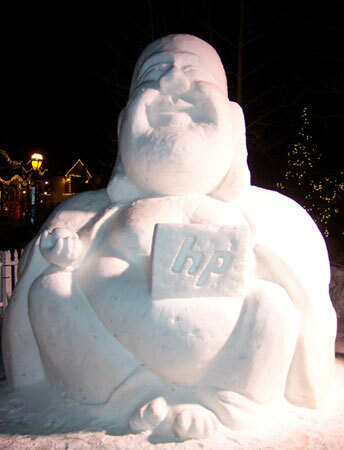 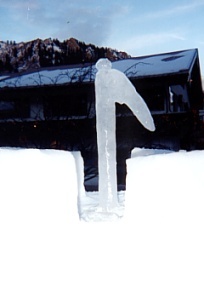 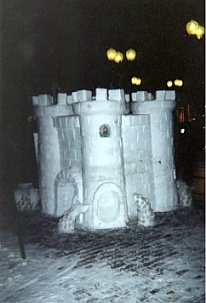 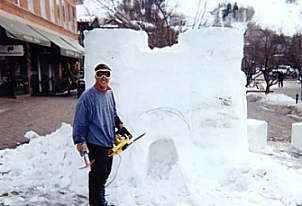 Final touches include the flags at the top of the Castle which were made and sculpted out of Ice. 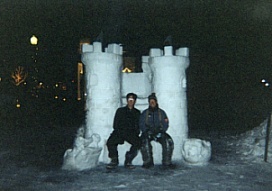 Greg and Mike sit on the final piece! 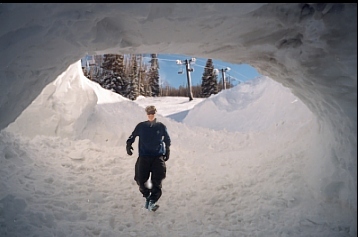 The next set of images shows the views of a ski through tunnel made by Greg for the upcoming IMAX film "Mountain Magic." 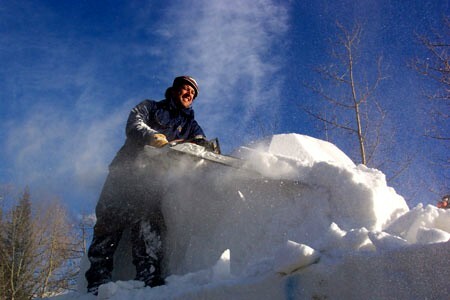 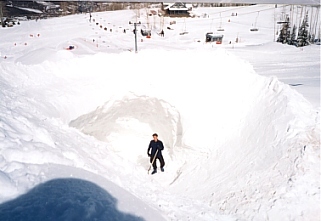 This view shows the opening being dug out by Greg. 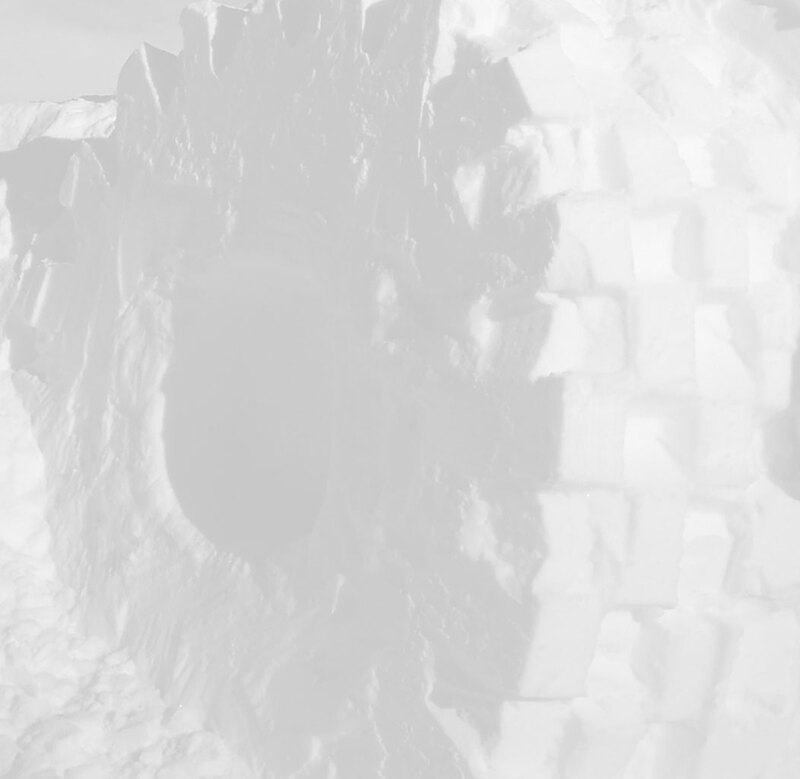 From a distance the complexity of the tunnel can be seen. 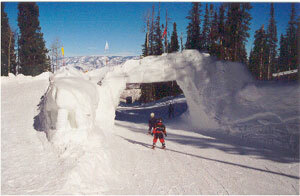 Skiers entered from the left, made a loop around and exited through the tunnel. 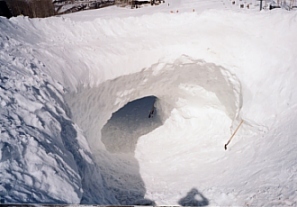 The tunnel opening shown from where the skiers entered. 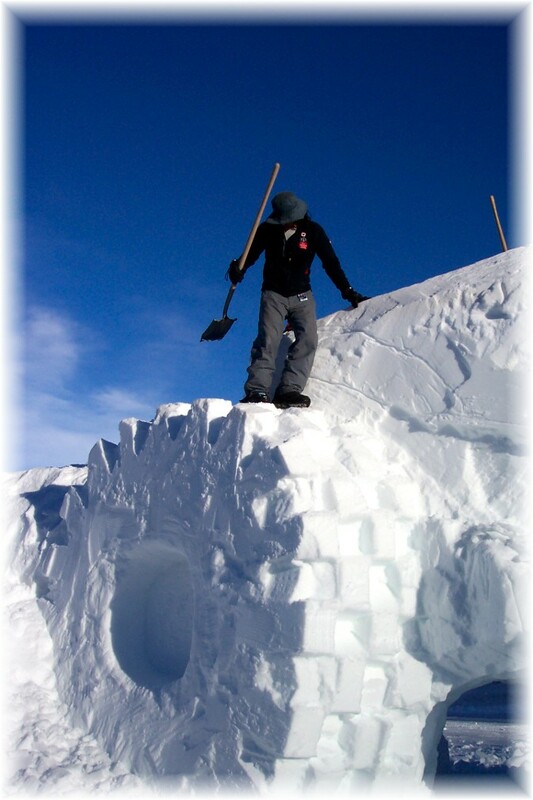 The final piece shows Greg walking through the tunnel. 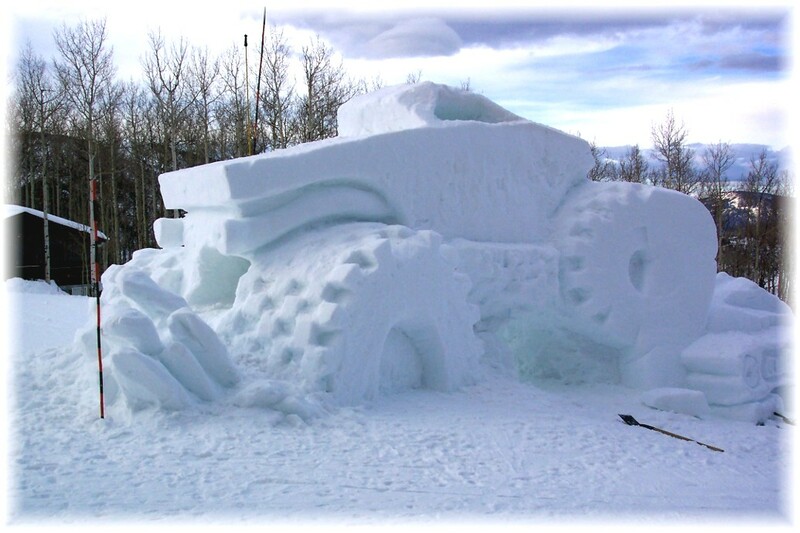 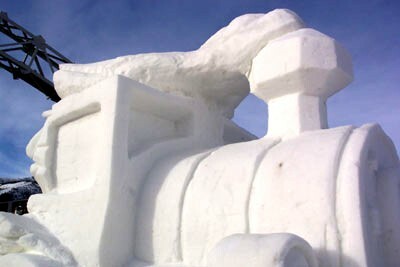 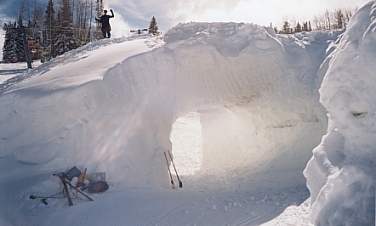 The tunnel was 15 feet in diameter, 40 feet long, and could accomodate a snowcat for grooming.